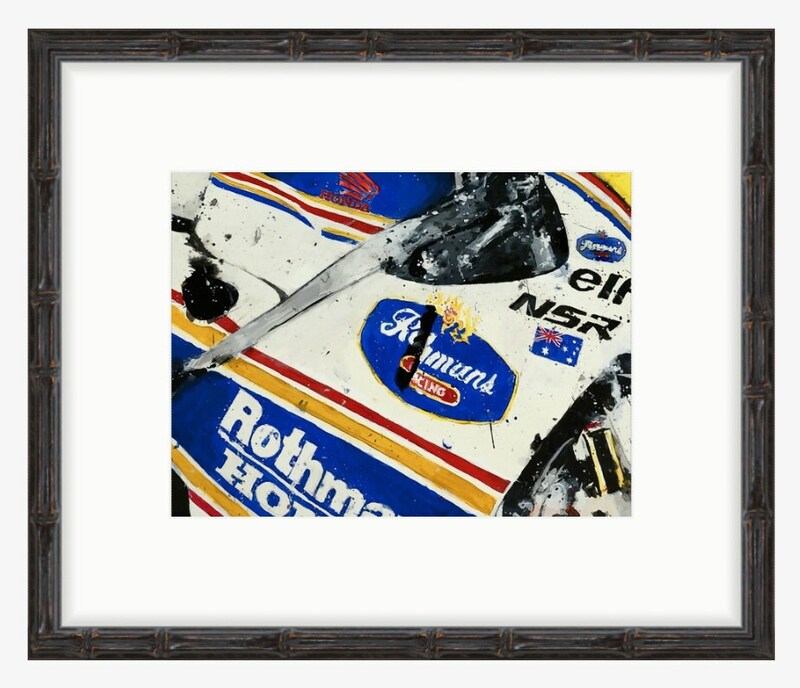 This is a signed, giclee print of one of the most iconic GP bikes of the two stroke era: Mick Doohan's Honda NSR500, in Rothman's livery. 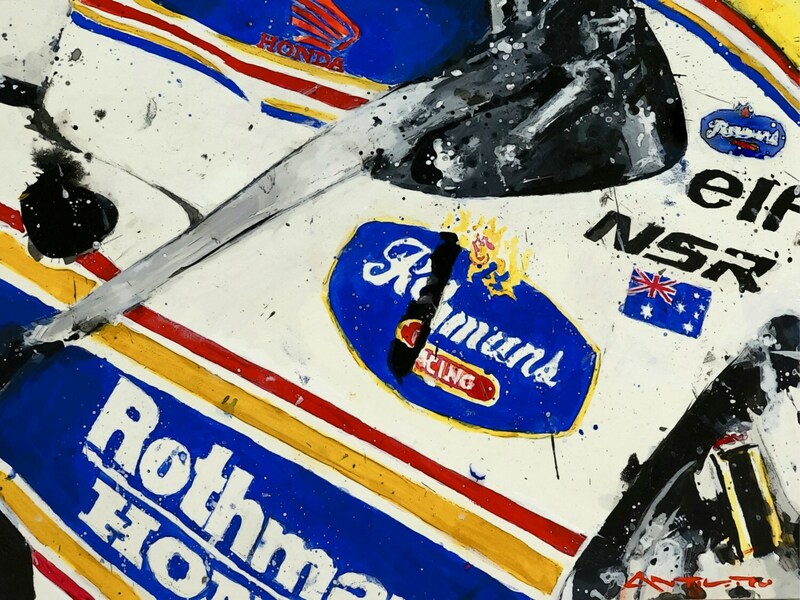 The artwork is printed on heavy canvas, giving it a vividness, depth and texture that make it appear like an original. The original painting is sold.